With my grass finalized, I started work on creating more variety in the foliage. 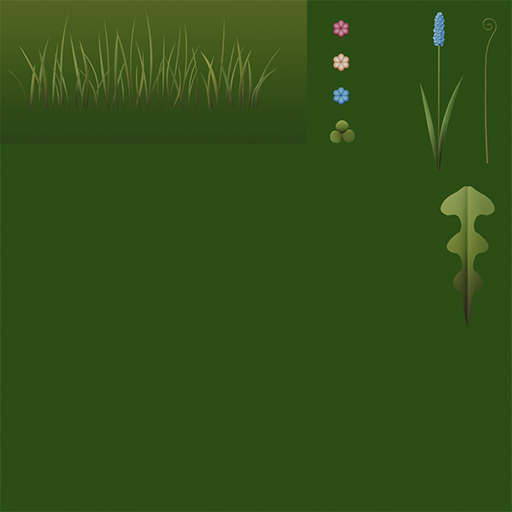 I've so far added small white flowers, long stemmed blue flowers, weeds, and clovers. I plan on creating a bush or two to break up the field even more. 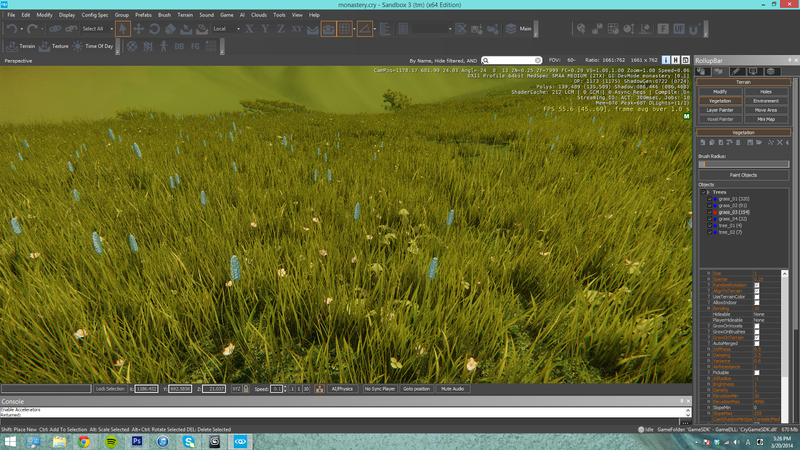 Here is the current state of my environment and my grass/foliage texture.